The Midwest AIDS Training and Education Center (MATEC) at the University of Illinois at Chicago has received $4.4 million in funding from the federal government to advance its work improving HIV/AIDS care, prevention and education in Illinois, Indiana, Iowa, Kansas, Michigan, Minnesota, Missouri, Nebraska, Ohio and Wisconsin. The funding to MATEC, which is part of the department of family medicine at UIC's College of Medicine, is provided by two awards from the Health Resources and Services Administration, an agency of the U.S. Department of Health and Human Services. 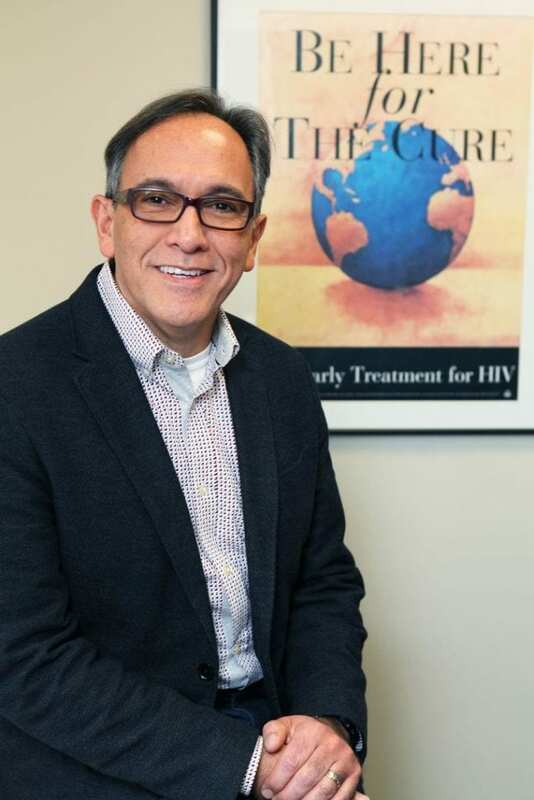 "Together, these awards will help us advance our mission of increasing the number of health care professionals prepared to provide high-quality HIV and AIDS care to patients in the Midwest," said MATEC executive director Dr. Ricardo Rivero, who is the principal investigator of both awards. One award, in the amount of $2.4 million, will enable MATEC to improve HIV/AIDS training for students in medical, nursing and pharmacy schools located in all 10 Midwest region states. Over the course of four years, MATEC will work with accredited programs to incorporate the National HIV Curriculum e-learning platform into their program requirements, either by integrating the curriculum with pre-existing courses or by assisting in the development of new course offerings. UIC is one of only two academic institutions in the nation to receive funding for this project. Another award, in the amount of $2 million, will support MATEC's work with primary care physicians in both rural and urban environments for five years. The funding will establish the Midwest Fellowship for Primary Care Champions, a program designed to build capacity among primary care physicians to lead health care transformation. The program will work with a cohort of five primary care doctors each year to develop, implement and evaluate quality improvement projects in community-based clinics located in Illinois, Indiana, Ohio, Michigan, Minnesota and Wisconsin. "It can be difficult for general practitioners to understand the unique and complex issues of HIV and AIDS care and prevention through current traditional medical education, and to keep up with new information and best practices," said Rivero, clinical assistant professor of family medicine. "It is likewise unlikely that pharmacy, nursing and medical students will seek out careers and pursue research involving HIV and AIDS topics if they remain unexposed to the topic during their medical training. This, combined with the increasing number of retiring primary care clinicians, is creating an environment in which care and prevention of HIV and AIDS are in danger of losing momentum. "With these two projects, we hope to change this dynamic across a continuum of care providers from students and future providers to veteran practitioners who are in positions that can champion system and clinic-based change," Rivero said. Dr. Memoona Hasnain, interim head of family medicine, said the two funding awards not only complement each other, but they also dovetail with the mission of family medicine. "Over the years we have come to learn that primary care health problems cannot be solved by one profession — it takes collaboration and teamwork across professions to address key public health issues and provide high-quality patient- and family-centered care, particularly for conditions like HIV, for which early detection and proactive preventive treatments to stop the spread of the virus are paramount," said Hasnain, who is also professor of family medicine. "I am delighted that the department of family medicine is the home to this program and can provide leadership in advancing the science of best practices when it comes to HIV care, prevention and training." Rivero and Hasnain hope that with the two new grant awards MATEC and the department will inspire more students to pursue primary care and champion projects that reduce health disparities, many of which are associated with HIV/AIDS. "The need for more effective, equitable, affordable, accessible and sustainable primary care in the United States is well documented," Hasnain said. "The proposed projects build on our department's historical strong foundation of excellence in service, scholarship and expertise in health professions education." They also hope that in the long term these projects will improve HIV/AIDS outcomes in the Midwest region, which vary across its 10 states. "At this stage in the 'epidemic,' we know how to manage and prevent HIV, but the biggest challenges are the perpetuating stigma of the condition and the social challenges, like poverty, housing and transportation, experienced by many of those affected by HIV," Rivero said. "It is vital that frontline health care professionals are well trained and empowered to not only deliver high-quality primary care, but to mitigate the damage of these social challenges and this stigmatization among communities and other providers. "From state to state and community to community, HIV prevalence varies," Rivero said. "But these programs give us the flexibility to work with schools and clinics in a way that addresses their local concerns and needs." MATEC, which was established at UIC in 1988, is celebrating its 30th anniversary this year. More information about the program is available online at matec.info, and more information about the department of family medicine is available online at chicago.medicine.uic.edu.